You pour a glass of water from the faucet, take a sip, and wonder… why the strange taste? There’s a flavour you can’t quite put your finger on. But what is the odd and irksome aftertaste that follows a sip from some types of tap water? No, it’s not just you. While a few people might believe all water tastes the same, there are actually many levels of minerals and subtle flavour profiles in different types of water. Let’s face it, bottled water tastes better than tap water, including filtered tap water. At the complicated end of the water taste spectrum are mineral water sommeliers. These are people with degrees from eg. 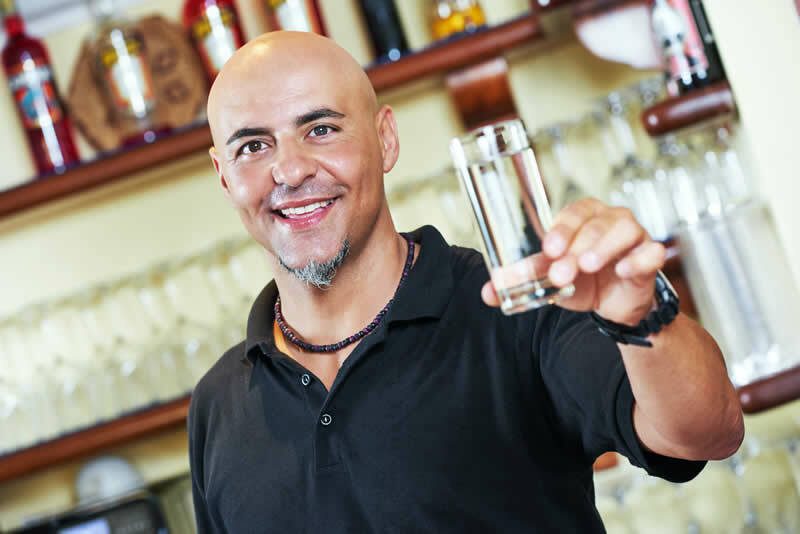 the German Mineral Water Trade Association, and their job is to know the nuances of different kinds of water brands and bottles of water to pair them appropriately with premium food. But you don’t need to have a fancy degree to know that tap water and bottled water taste different. So just what’s the cause of this flavour disparity? Here’s a hint, it’s the same chemical keeping public pools free from spreading foot fungus. The key difference between both the contents and the taste profiles of tap water and bottled water is chlorine. Bottled water doesn’t have chlorine in its contents at all, but the swimming pool cleaning tool is used by the majority of water utilities in Australia. Why does most Australian tap water have chlorine in it? Due to lengthy distribution lines that take drinking water from a treatment plant to the taps in Australia, chlorine is added to ensure it is safer to drink and to deter contamination. In Australia, water is precious, and potable water must often travel long distances from the source. Also, many drinking water sources are surface lakes, where it is impossible to control potential contaminants and environmental impact. While tap water is not considered sterile, the fact that it is free from contamination makes it considered safe to drink. Safe to drink, sure, but maybe not as tasty thanks to the chlorine bouquet and the swimming pool notes. Some people add charcoal filters to their faucets as a way to make their tap water taste better. The levels of chlorine in your tap water will depend on your water utilities, and the type of groundwater you are getting via your taps. By contrast, bottled water is designed to be retrieved from single use water systems. Such water sources include spring waters and underground aquifers. Fresh water is extracted from deep in the earth, bypassing the risks of contamination. The closed nature of this water source means there is no need to add chlorine. Chlorine is one of the most common disinfectants used in water supplies, and there are government regulations as to how much chlorine is acceptable in drinking water. That is why the taste of tap water will vary from place to place. Apparently, it is possible to tell if the levels of chlorine are high, as the odour will strongly mimic a swimming pool. In addition to the water sources used for bottled water being cleaner by nature, most bottled water companies will apply additional filtering processes to extract any undesirable elements. This means what ends up in bottled water is extra purified, clean, and fresh. As well as more advanced filtration, companies that offer bottled water will also more regularly test their products to ensure high standards are met. Measures such as frequent testing, ultra-violet light sterilisation, micron-filtration and more are often put into place by producers of bottled water to ensure high standards and quality. Aside from chlorine, there are other elements that can adversely affect the flavour profile of your tap water. As mentioned, tap water often travels quite far from its source, via pipes. Sometimes, old pipes will give tap water a highly metallic taste. And if you are drinking tap water near the coast, often a sulphuric flavour will creep in because of microbes in the groundwater that produce sulphur. While bottled water undeniably tastes better, it’s important to note that the taste-altering minerals added to tap water are not bad for you. Australian water treatment plants ensure water is safe to drink. 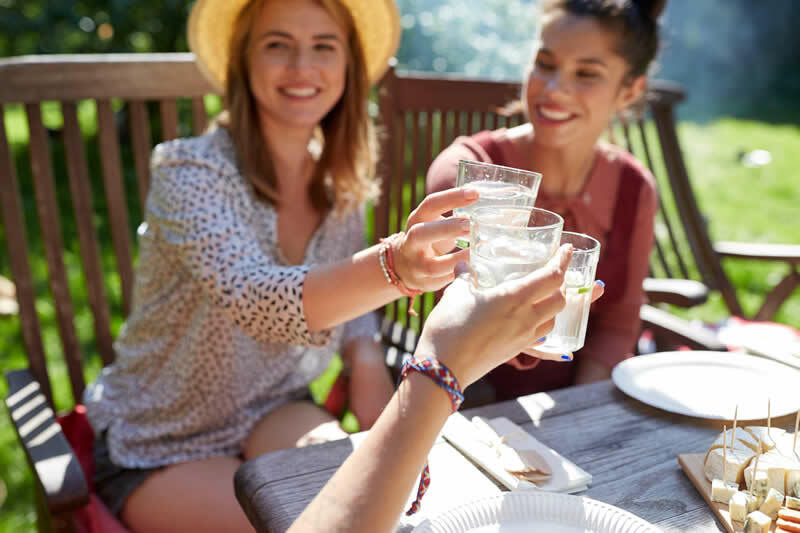 When dining out or enjoying a high-quality meal, choosing bottled water ensures that the flavour profile stays on point. That way, everyone can enjoy a refreshing drink, without being reminded of swimming carnivals.